Chicken is a meat I rarely order when dining out. It can be bland, dry and just an all-round snoozefest. But there is undoubtedly a place in my heart and my stomach for classic crispy chicken dishes like chicken Kiev and fried chicken. In fact, there are a lot of fried chicken fans out there, as I learned when listening to an episode of BBC's The Food Programme podcast. And when there are lots of fans, it's always a good idea to take that seriously. 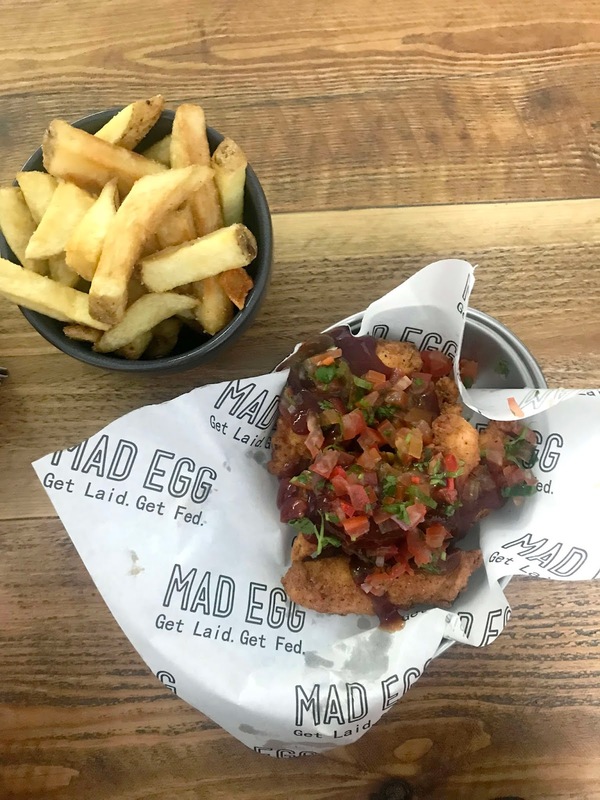 New casual restaurant Mad Egg located on Charlotte Way at the southern end of Camden Street, takes fried chicken very seriously indeed. Since opening several months again, it's been packed all day and evening. I know, I work nearby. I was initially skeptical about opening a restaurant in that location, but hey, what do I know? What's the Mad Egg secret? Free-range chicken from Manor Farms is tea-brined for 48 hours for tenderness and juiciness. This is followed by a double dredge (gotta say I love the word dredge, don't you?) in spiced buttermilk and a coating in Mad Egg's house mix. Not only that, but the buns use a "soft AF" Amish roll from Coughlan's bakery. This might be casual food, but the serious approach to the perfect fried chicken is far from casual. Is all this effort worth it? The answer is a resounding yes. This is incredible chicken, wonderfully juicy and moist. 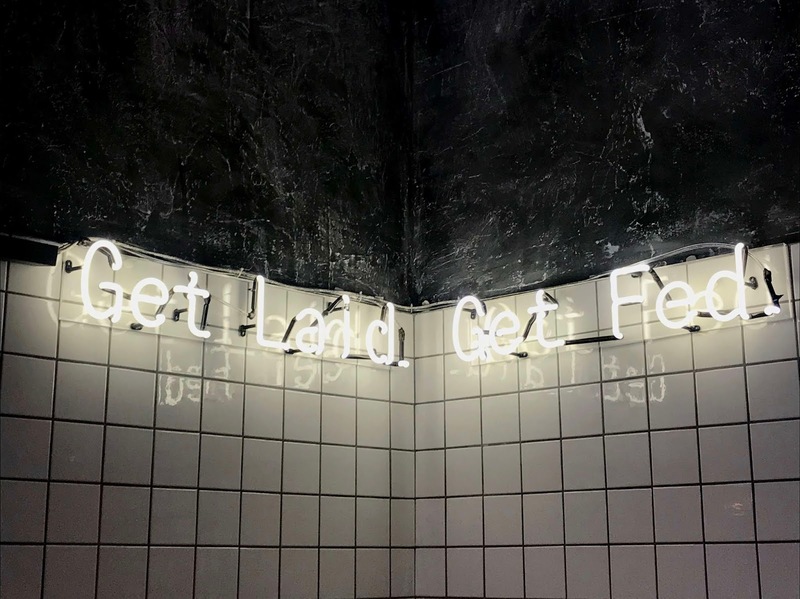 Yes, I said it. I said moist. 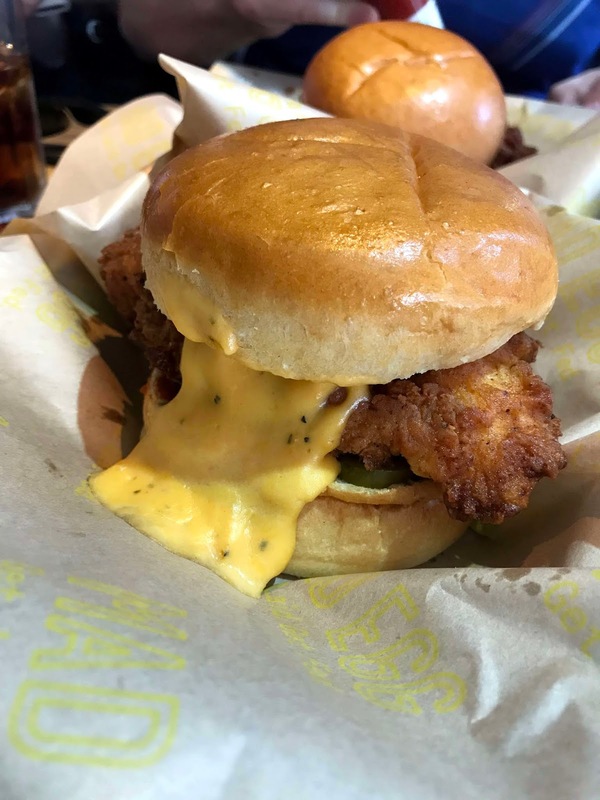 There is simply no better word to describe this chicken, which is available in a selection of Birds (in a bun) or Tenders. By now, I've eaten there several times and every single piece of chicken has been perfect. Tenders (all €7.95) come piled in a bowl, topped with various sauces. My favourite so far is the Love Me Sticky with house Bourbon glaze and jalapeño relish. It's nicely sweet, but with a serious kick coming through. The Birds (or burgers, all €9.95) struggle to contain the gigantic chicken portions and I've found that the soft Amish roll often disintegrates before I'm finished. Sometimes the chicken even manages to escape its coating in a way of which Houdini would have been proud. But no matter, the tastiness overcomes. There's a short list of side dishes, all €3.95 . 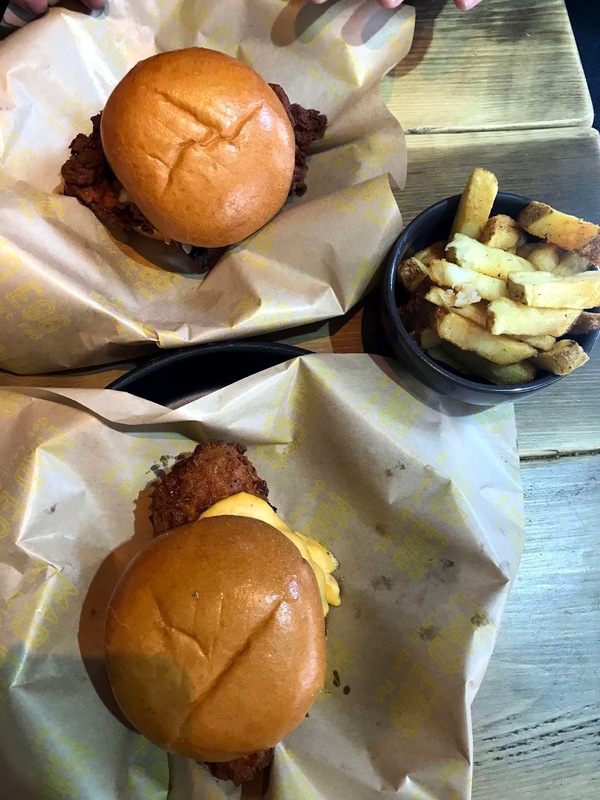 Chicken salt fries are superb, nicely crispy and fluffy. Mac'n'cheese with candied bacon is lacking a bit of saltiness, but hits the comfort zone nicely, while charred corn on the cob with jalapeño butter is fine. Dessert is a self-assembled cheesecake dressed with your choice of toppings. To be honest, I haven't had the stomach space to go there yet as I don't want to spend the afternoon asleep in the office. A burger and side will set you back €14, excluding drinks. This isn't particularly cheap, especially for the lunch crowd, so is it worth it? Well, let's look at the bigger picture. Service is always friendly, although the kitchen can back up with orders at times, resulting in slower food. You're also paying for free-range chicken and the preparation. And let's face it, giving a chicken a better life than living in a factory shed is well worth paying a little extra. I have one suggestion to offer to Mad Egg. Given that I work around the corner, I'd love to see a salad option, either as a side or a main. It would be far easier to justify a fried chicken lunch if there was salad involved, or so I keep telling myself.